5 FAB Pairs To Give Your Shoe Rack A Makeover! My closet is filled with all types of shoes: sneakers, stilettos, boots and much more. But despite the variety of shoes I own, I always find myself gravitating towards a few loyal pairs—my comfy block heels, my effortless flats, and the go-to sandals when everything else fails. These classics are the foundation of any girl’s shoe collection. 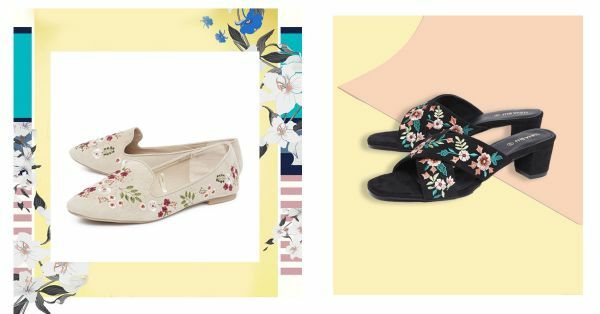 From floral block heels to chic sandals, it makes perfect sense to invest in them and pair them with a variety of outfits. To make it easier for you, we are listing out five must-haves that you can depend on. So, clear the clutter and make some space for these, stat! This pair is proof that block heels can be just as stylish as stilettos. We recommend swapping your work heels with these. You can't deny the comfort and ease they will add to all your outfits. Pair them with a crisp white shirt and flared black pants for a head-turning ensemble! Get these here (Rs 1,499). A fun upgrade to basic flats, the intricate detailing is why we are eyeing this pair. Ideal for a lazy weekend brunch when teamed with a stylish midi or even mini dress! Get these here (Rs 1,599). We love a versatile pair of shoes that can be paired with ethnic as well as western wear. Make the most of these sandals that work well with a variety of outfits—you can style them with a red anarkali and when you are in the mood to wear western outfits, you can pull them off with an all-black outfit. Get these here (Rs 1,119). The reason we are crushing on these cobalt block heels is that you can make a fashion statement without hurting your feet. When wearing heels with bright colours, the only rule to remember is to wear subtle hues in your attire. Tip: The best way to highlight these heels is to team them with a pair of skinny jeans and a white blazer! All flat lovers will drool over these. We are huge fans of intricate embroidery and we love it even more on our shoes. For acing the perfect day look, pair these with a white midi dress. 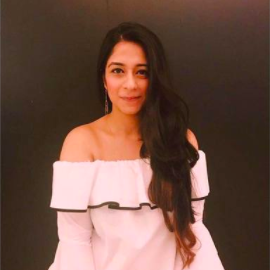 If you are not in the mood for working a dress, you can do a white-on-white look with a pretty blouse and elegant culottes. *This is a sponsored post for Westside.